The launch would help reduce reliance on import of microprocessors, the release claimed. The Indian Institute of Technology-Madras on Friday unveiled what it claims to be the first indigenously-developed microprocessor in the country that can be used in mobile computing devices, embedded low-power wireless and network systems. The product would come in handy to sectors such as defence, nuclear power and government agencies, as it can reduce the threat from systems infected with back-doors and hardware Trojans, a release from the institute said. Researcher in the institute, professor Kamakoti Veezhinathan, said in the release, "With the advent of digital India there are several applications that require customised processor cores." 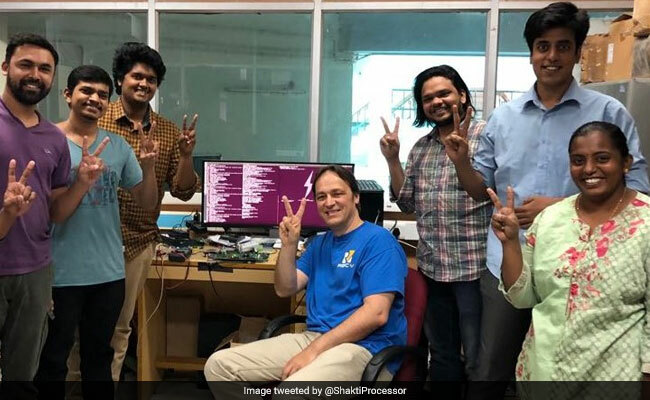 The 'Shakti' family of processors was fabricated at semi-conductor laboratory (SCL) of Indian Space Research Organisation (ISRO) in Chandigarh, it said. The SCL is an autonomous body engaged in research and development in microelectronics to meet strategic needs of the country, it added.